These are amazing. 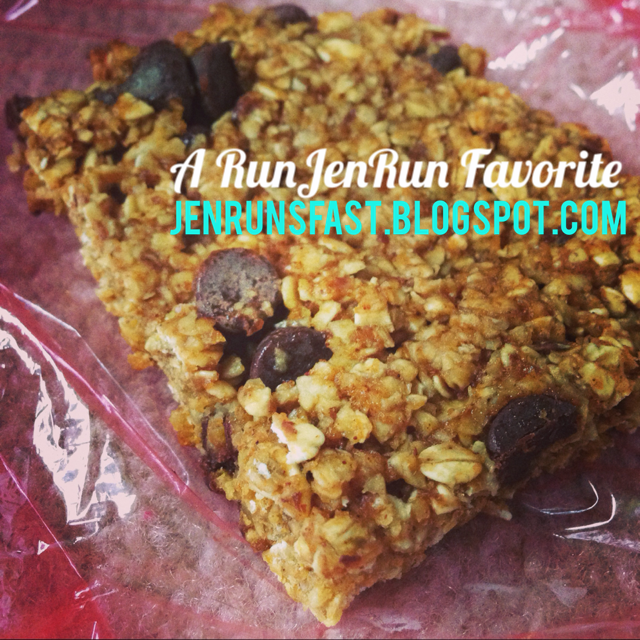 Great for breakfast or after a run! Preheat oven to 350 degrees. Spray a 9x11 inch baking pan with non-stick cooking spray. In a large bowl, whisk together oats, spices, flaxseed and salt. Set aside. In a medium bowl, whisk brown sugar, pumpkin, applesauce, honey and vanilla extract until smooth. Poor over oats and stir well until all of the oats are moist. Stir in chocolate chips. Evenly press oat mixture into prepared pan. Bake for 30-35 minutes or until golden brown and set. The pumpkin keeps the bars moist so make sure you don’t under-bake! Remove from oven. Let cool on a wire rack for 5 minutes. The terrible, horrible, no good, very bad run. Weekend Roundup: First Ever Pub Run & Two-A-Days!